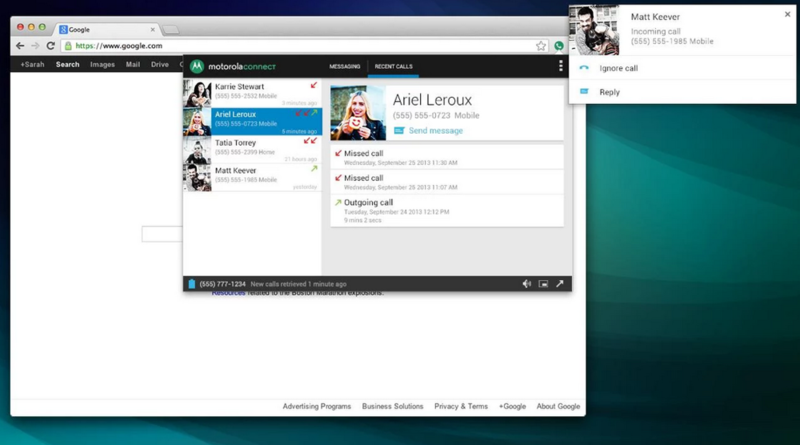 Motorola’s proprietary Motorola Connect, a Chrome extension/Android app combo that allows you to receive and respond to text messages through your desktop’s web browser, received a hefty update today. The update includes MMS support, improved contact matching and phone number format, and the ability to receive group messages. Before this update, users were limited to SMS messages, receiving and placing calls, and Google Hangouts messages. This update should allow a few more people to warm up to the service. Added support for receiving MMS (picture & group messaging). Improved contact matching & phone number format (requires new permission for coarse location, which only identifies country locale). If you own a Moto device, go grab the update through Google Play. And don’t forget, you will need the updated Chrome extension, too.